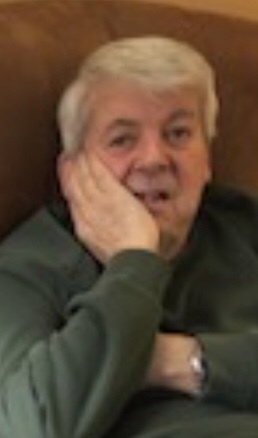 Boardman - Raymond C. Greenwood, 73 of Boardman, died Wednesday evening February 6, 2019 at the Greenbrier Health Care Center in Boardman. He was born June 7, 1945 in Ashtabula, OH, a son of Raymond and Josephine (Mealle) Greenwood and lived in the area most of his life. Ray had worked as the custodian for St. Luke Catholic Church and School in Boardman for nearly forty years. He was an avid dog lover. He leaves two sons, Raymond Greenwood III of Struthers, and Keith Greenwood of Mineral Ridge, his daughter, Shannon Brewer of Boardman; a step-daughter, Margery Trella of Youngstown; two sisters, Carol Dickson of Cleveland and Marcia Gluck of Wooster; nine Grandchildren, Carly, Kayla, Dylan, Tiffany, and Sara Greenwood, T.J. and Andrew Noufer, and Eric and Zackary Brewer. He also leaves five great-grandchildren. Besides his parents, Ray was preceded in death by his son-in-law, Eric Brewer. Services will be held at 9:00 am Tuesday February 12, 2019 at the Davidson-Becker Funeral Home in Struthers. Friends may call from 5-7:00 p.m. Monday at the funeral home. Friends will be received 5:00 PM to 7:00 PM at the Davidson-Becker Funeral Home, Struthers,Ohio.